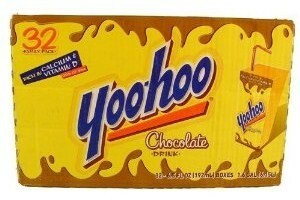 32 Yoo Hoo Chocolate Drink Boxes: $8.11 w/ Free Shipping! Just $0.25 a Box! Right now at Amazon, you can get a pack of 32 Yoo Hoo Chocolate Drinks for only $8.11 with free shipping! That comes out to just $0.25 per drink. This is a great deal, especially for those that pack lunches for school! To get this price, you'll have to use the Subscribe & Save option found on the right sidebar. This can easily be cancelled in one click after the item ships through your account page.